You can stop negatively affecting motivation in your workplace! Want to know how organisations destroy motivation at work? Managers ask about how to motivate employees, but employees naturally experience motivation. Ask any employee – there will always be something that stimulates creativity and promotes fresh ideas. So, the challenge for employers is not to destroy that intrinsic motivation that every employee has about something, but to harness the talent of your employees. And the challenge for a manager is to help the employee find ways to experience that motivation at work. The best place to start? Make sure that your organisation, your jobs and your managers are not squashing motivation. Start with these ten ways to destroy motivation at work. Are you guilty of any of them? How to destroy motivation at work? 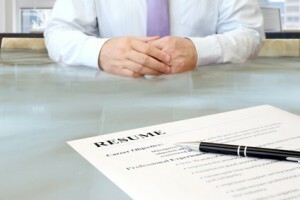 Want to stand out in an interview? Stop saying these words! Be careful; you’ve got the skills and you’d love to land the job, but you might just shoot yourself in the foot in the interview thanks to your choice of words. Just think about it. We all overuse certain words. Recruiters and employers hear it all the time. The trouble is that overused buzzwords start to lose their meaning because candidate after candidate trots them out. Understand this and you boost your chances of coming out on top. In general, try not to overuse words such as dedicated, motivated, team player, synergy, leverage, ownership, pro-active or reach out. And look out for slang that may make you sound too casual such as kinda, you know, like and cool. Good managers come in many shapes and sizes; their personalities and character traits can be as varied as a bag of mixed candy. But regardless of whether they’re loud or quiet, non-committal or to-the-point, all good managers have a few things in common. Being able to identify good management is important because it impacts your job satisfaction, career development opportunities and a positive working environment. Who the leader is and the decisions they make are what sets the tone. Or put another way, “when the head of the fish stinks, so does the rest of the body”, so look for clues and ask yourself if you’re prepared to commit to this person or the company’s visions and goals together. 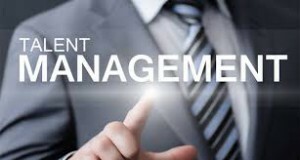 Often talked about by senior management, HR and Hiring managers but what exactly is “talent management”? Is talent management just another example of HR jargon – right? Actually, wrong. Talent management is an organization’s commitment to recruit, retain and develop the most talented and superior employees available in the job market. So, talent management is a useful term when it describes an organisation’s commitment to hire, manage and retain talented employees. It comprises all of the work processes and systems that are related to retaining and developing a superior workforce. In the dictionary, empowerment is described as “A management practice of sharing information, rewards and power with employees so that they can take initiative and make decisions to solve problems and improve service and performance” or more abbreviated versions like the one shown in the image above. Empowerment is based on the idea that giving employees skills, resources, authority, opportunity, motivation, as well holding them responsible and accountable for outcomes of their actions, will contribute to their competence and satisfaction. It is feeling in control of your work environment and that you have permission to make decisions in the areas you control and are responsible for in your job. Managers should avoid thinking of it as something that one individual does for another. This is one of the problems organisations have experienced with the concept of empowerment. People think that someone, usually the boss, has to bestow empowerment on the people who report to him/her. Many senior managers fail to empower their people and in turn ask why people won’t act in empowered ways. When a member of staff is not empowered, this leads the person to feel that he/she is being micromanaged and a feeling of unhappiness. A number of candidates joining companies resign within the first few months because of a poor cultural fit. Many companies and recruitment companies overlook this element of the interview process and as a result, do not do a good job of hiring candidates based on any real assessment of their cultural fit. If you don’t ask cultural fit interview questions, you are missing a critical opportunity to determine whether the prospective employee will work successfully in your company. Every organisation wants to hire a candidate who, in addition to the required job skills and qualifications, exhibits the best fit within the organisation’s culture. The most successful hires fit both the job and your workplace culture. Phone interviews allow you to call your most promising job applicants before bringing them in for a job interview in your organisation. The phone interview enables you to screen the applicant’s experience, skills, knowledge, experience and salary expectations before you invest valuable time in face to face interviews. The phone interview enables you to methodically assess applicants that appear suitable on paper, but perhaps fall short in terms of experience or qualifications. In essence, it allows you to eliminate those who appear to be less qualified or might be a poor cultural fit for your clients’ organisation. The phone interview saves your company effort, time, money and the energy that your recruiting team invests in every applicant. A phone interview is time well spent by your hiring manager and you can fast track or short list your most qualified applicants for your interview process. The phone screens allow you to hold off on interviews with less-qualified candidates. THE CHALLENGES, THE CURRENT MARKET, HOW BEST TO SUCCEED IN OVERCOMING YOUR TALENT MANAGEMENT REQUIREMENTS AND WHY RSI INTERNATIONAL ASIA? Myanmar’s age of isolation has finished and many foreign investors and multinationals are opening as well as expanding their businesses in order to capitalise on the tremendous growth potential. Medium-term economic growth prospects remain strong assuming continued progress on reforms and the recent election outcome. A World Bank report on ease of doing business in Myanmar, rates the country at 182 out of a total of 188 countries studied. It takes an average 75 days to start a business in Myanmar, according to a report released by Frost and Sullivan. Thriving in uncertainty, and operating in frontier markets, go hand in hand, with the risk of not finding that elusive, qualified talent. This is true not just of Myanmar but, is quite a global phenomenon and businesses are hard pressed to search for that “global talent”.